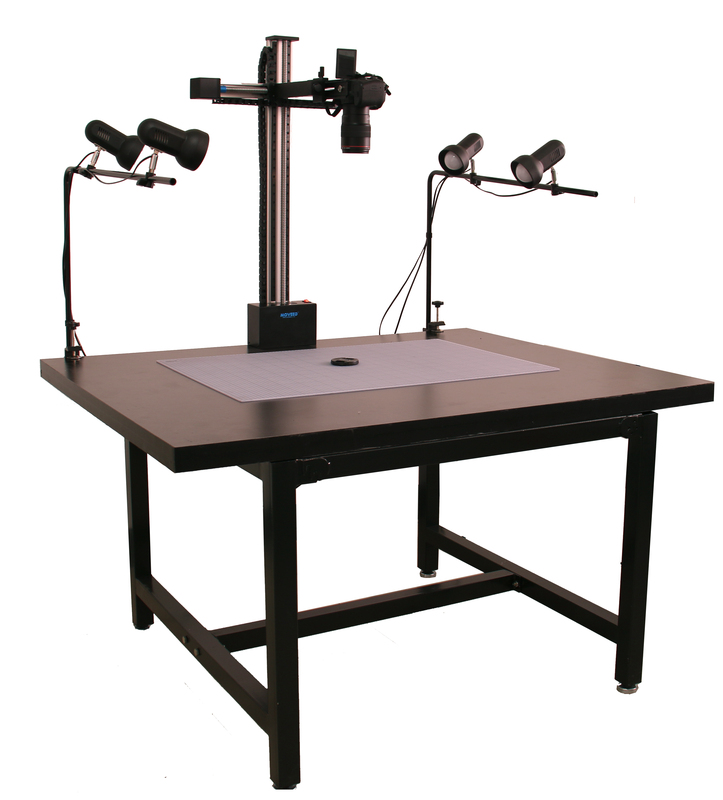 PhotoTable for Forensic Three-dimensional Photography adopts electric lifting bracket, which is convenient for different sizes of objects, and can also be used for hanging digital camera. Fixed focus by adjusting the camera's high-low to achieve the best shooting effect; using motor control, a stable recording effect can be achieved during the movement. The light source brackets adopt universal joints and adjustable brackets. It is easy to adjust the distance of the light source from the object and the illumination angle. Usage: The three-axis adjustable camera mount, adopts a motor-driven screw mechanism for the X and Y axes, which can realize the hover function at any position. The movement of the X and Y can be achieved by a rocker controller on the Z axis. The Z has a fixed camera interface and a movement adjustment knob to adjust the camera's back and forth movement. The side light sources are equipped with universal joints and adjustable brackets. The universal joints and the brackets can be manually adjusted and adjust the incident light angle.